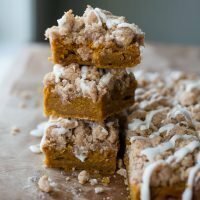 The next level of crumb bars: Pumpkin Sour Cream Crumb Bars with pumpkin pie spice, tangy sour cream, and voluptuous crumbs all drizzled with a sugary glaze before serving. Let’s just add another pumpkin recipe to my list of must-make-this-fall/winter recipes, shall we? As if the list isn’t absurdly long enough already – full of mostly cookies, breakfast ideas, and a slew of Thanksgiving recipes that I’ll probably never get to, considering the big day is now just over one week away. I added these pumpkin sour cream crumb bars to this list completely on a whim over the weekend. All that canned pumpkin in my cupboard bought in preparation for Pumpkin Shortage 2015 (will I never learn?)? Well, it was calling to me! Actually, it was crumb cake that was calling to me. Big, fat, gorgeous crumbs. Softest of cakes lying beneath. Kyle brought a piece home from the – ummm – gas station deli the other night for – double ummm – dessert the other night and since it uncannily resembled my favorite New York crumb cake, I got a major itch to bake a crumb cake. 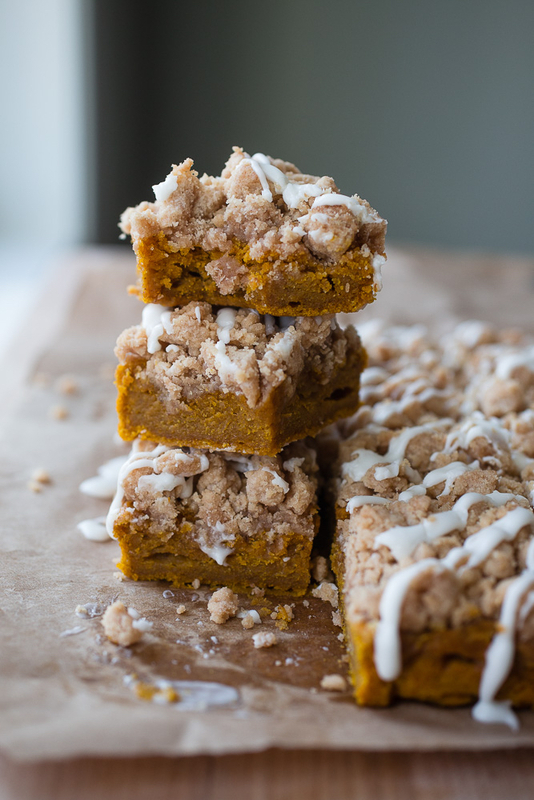 That itch then morphed beautifully into the idea for these pumpkin sour cream crumb bars. 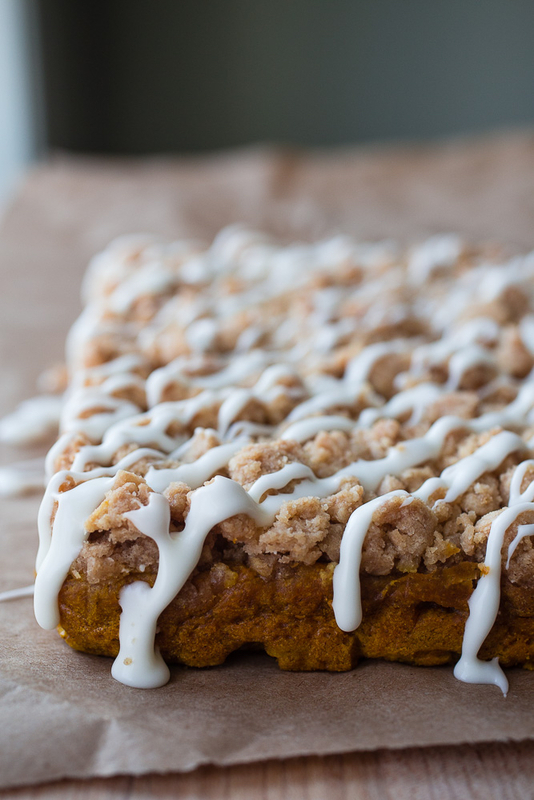 Because a soft and dense crumb bar that tastes like pumpkin pie isn’t a bad thing at all, is it? And one said dessert, whose voluptuous crumbs (yup I went there) is drizzled with a sugary glaze before serving, is an even better thing! I’ve made lots of other crumb bars in the past, namely in the forms of strawberry, caramel, apple cider caramel, and blackberry lime but this pumpkin version is king when the weather cools down! The changes I made to my favorite crumb cake recipe render the original almost unrecognizable, save the crumbs. But these pumpkin crumb bars, with their hearty pumpkin and tangy sour cream, really take the original recipe to a new and different level. It’s a dessert that Kyle jumped all over when he came home from his 21st 10+ hour work day in a row on Sunday. Hard work rewarded yet again! 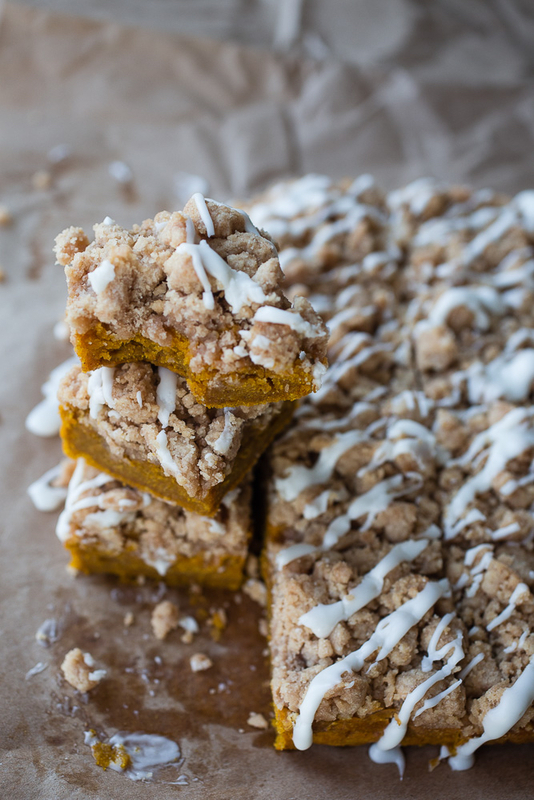 Pumpkin Sour Cream Crumb Bars with pumpkin pie spice, tangy sour cream, and voluptuous crumbs all drizzled with a sugary glaze are the next level of crumb bars. They're a great alternative to pumpkin pie at Thanksgiving and an excellent recipe to make for a fall bake sale, potluck, book club, or for weekend house guests! To make the topping: Melt the butter in a medium bowl in the microwave. Whisk in the sugars, cinnamon, and salt to combine. Stir in the flour with a rubber spatula until the mixture resembles a thick, cohesive dough; set aside to cool to room temperature for 10 to 15 minutes while you make the bars. 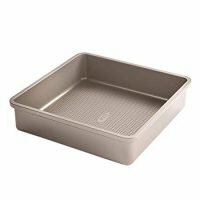 To make the bars: Adjust an oven rack to upper-middle position and heat oven to 325° F. Line an 9-inch square baking pan with aluminum foil and spray the foil with cooking/baking spray. In bowl of standing mixer fitted with the paddle attachment, mix the flour, pumpkin pie spice, sugars, baking soda, baking powder and salt on low speed to combine. 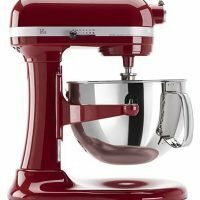 With mixer running at low speed, add the butter one piece at a time, continuing to beat until the mixture resembles moist crumbs, with no visible butter chunks remaining, about 1 to 2 minutes. Add the egg, pumpkin puree, sour cream, and vanilla; beat on medium-high speed until light and fluffy, about 1 minute, scraping down the sides of the bowl as needed. Pour the batter into the prepared baking pan and even out the top with a rubber spatula. With your fingers, break apart crumb topping into large pea-sized pieces and spread them out in even layer over batter, beginning with edges and then working toward center. This will prevent the bars from sinking in the center from too much weight. Bake until crumbs are golden and a wooden skewer inserted into center of cake comes out clean, about 32 to 37 minutes. Cool on wire rack at least 30 minutes. Remove cake from pan by lifting the foil out of the pan. To make the glaze: Sift the sugar into a medium bowl and whisk in the heavy cream until the glaze is smooth and thick but still able to drizzle from the whisk. Drizzle the glaze over the cake before slicing into 16 pieces and serving. 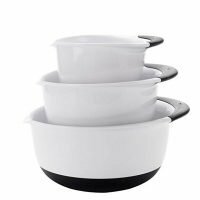 Storage: Store covered tightly at room temperature for up to 2 days.